Carducci's Tuxedo takes pride in delivering world-class service to all of our customers. Read what some of our satisfied clients have said about us! "Carducci's is the best tuxedo shop around. Mr Carducci really takes pride in what he does and he wont let you leave without you looking perfect. You will not be disappointed. Mr. Carducci is a great guy and he knows what he is doing." "best tux shop in the business the best place for prom tuxs ! if you need a tux go to duch for the best price and look"
"ducci is the man!!! i have been going to him since freshman year just graduating now! great deals very easy to get along with awesome man. he knows what he is doing ! very trust worthy!! he will make you look like a star! ducci is where its at go! " "BEST tux place in the IE, i would recommend you go for any high school dances all the way to weddings. 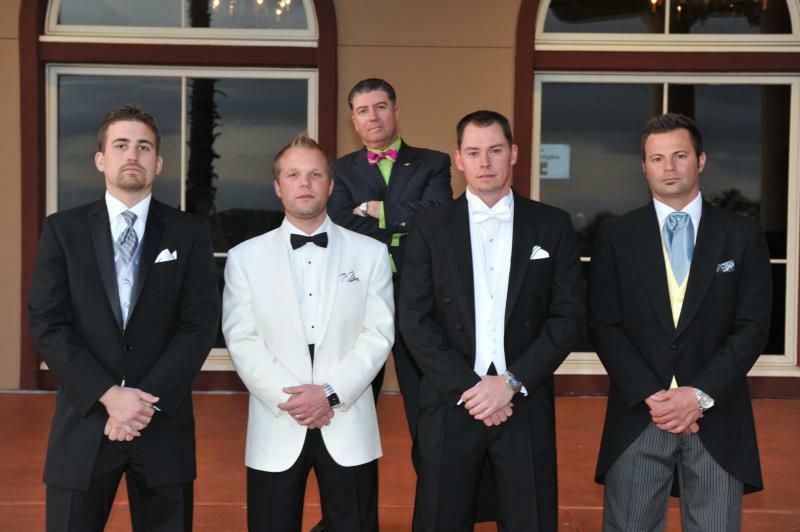 perfect measurements, great service, great prices, and the tuxes are legit perfect." "IMPECABLE SERVICE, QUALITY TUXEDOS AND GREAT PRICES!!! Mr. Carducci is AMAZING beyond words! We will never go anywhere else for our tuxedos! He's been serving our family for over 20 yrs. He has a unique way of making each one of his customers feel special and dresses them with style and excellence!" ""Mr. Carducci is wonderful!! He really knows his business, and is really great about working with you. He gives great prices, and great service! This us my new place to go for all formal wear!" ""Carducci's is the best. We used them for the first time when my son went to prom this month. "The Dooch" is wonderful. He picked a great tux for my son and found him something that looked good on him. Slimming jacket etc. If myself, my son or anyone else ever needs a tux for anything I will send them here. Wonderful service, with a smile and a hug!" ""Carducci's is top notch in customer service! Mr Carducci worked great with my special needs son, JC, fitting his tux for prom perfect and always being sensitive to JC's needs and mobility issues. Thank you sooooooooo much you will always have our business! If you every need a tux or suit for a special occasion Carducci's is the place!" Patricia M. - Azusa, CA. "The dooch is the king of cool. He has an unparalleled sense of style and he will make you look fantastic for whatever formal event you have. For every prom and homecoming I have gone to him and people always comment about how nice my tuxedo looks. Also, the quality and price are unmatched. He also takes pride in the way you look, such as having a perfect fit every time, which is a huge plus in customer service. You may go to him worried about how you will look but he will put all your worries to rest." "﻿﻿﻿﻿﻿﻿﻿﻿﻿﻿﻿﻿﻿﻿﻿﻿I just want to thank you for coming out and meeting us at your Yucaipa store!!! I'm very impressed with the way you do business & will definitely refer your services. I loved how I came in told you what my son needed and left with tux all in one stop. Austin will look handsome come Saturday night, thank you:)"
"What a pleasure to meet you yesterday. I just wanted to send a note of thanks to acknowledge your excellent customer service and generosity. We here at NewSong are so grateful for your donation to provide us "master of ceremony" attire for our youth program. I especially appreciated your sense of style and enthusiasm to outfit me in the perfect suit/s for the occasion. It will be an honor to promote Carducci Tuxedos to anyone who has need of suit/s for weddings, prom or formal occasions. You are running a class act sir. Your expertise shows through. As arranged yesterday, I will arrive Thursday, July 19 in the afternoon to pick up the tux and jackets you have selected and return them on Monday, July 30. May you have a wonderful Forth of July celebration. Blessings on you and your business,"
"I am looking for a black suite or tux for a formal event tonight. 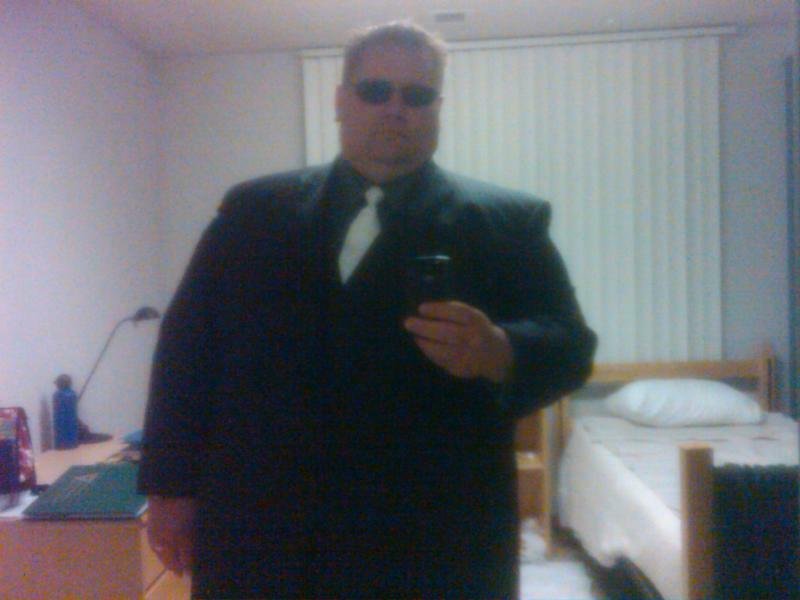 Coat, slacks, basic white dress shirt, black tie (not bow). I usually wear a 60 or 62 long coat with 52/32 slacks. I can be there by 4pm. "Dear Mr. Carducci, thank you for making me feel like royalty at your shop on special events. Your Tuxedos are as sharp and impeccable as the man that selects them. Thank you for saving my a..... on prom night when I needed help with my accessories, you are a life savior Mr. Carducci." Thank you for outfitting our gentlemen for the the big day. You made us look great." Thank you for taking so much care of me this year, it's very much appreciated. It's an honor to wear a Tux and or a suit of yours. Thank you." Thank you for outfitting all the gentlemen for our Big-Day. You made us look Good!" Thanks again for the great tux and the great service! This was my favorite tux I've gotten form you so far. Take care and God willing, we'll see you again next year." I just want to thank you for helping me out this past weekend with my tux for steven & Shannon's Wedding. I apologize if I came off the wrong way at first and I truly appreciate you understanding my financial situation. Everyone looked great and it is obvious you take a lot of pride in your business. I promise to take care of you when I get some extra $. I hope to offer you my service whenever Ineed another tux."